This post was inspired by a news article regarding Dolphins. Wen Wen died suddenly less than an hour before the flight from Philippines to Resorts World Sentosa, Singapore. Wen Wen is the third dolphin to die out of 27 which RWS acquired from the Solomon Islands in the South Pacific between 2008 and 2009. This entry was posted in My Song / 我的歌 and tagged Arts, human-rights, postaday, Religion and Spirituality, Singapore Botanic Gardens, tourist spot in singapore. Thanks Alan, your words are enough for me to keep going! Cheers! 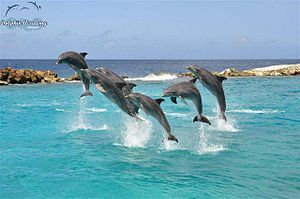 I shared this with my daughter who loves dolphins, beautiful. Thanks! I like dolphin too and I wish I could set them free,but I couldn’t! Wouldn’t that be nice! A part of me is glad we have them and other creatures close by so we can enjoy them, but I know that is selfish and they deserve to be out in the open to live in freedom. Amazing creatures. Agree with another poster. I always learn something new here. Always encourages me to go off and find more about the subject. I like when you reference the map too. That is so sad. Dolphins are the most beautiful creatures. Whether you agree with me or not! I prefer to see them in the ocean free with a wings and a big smile! There’s a photo of me in Sentosa Island, Singapore in our family album… It looked like I was 3 years old… there is also a dancing fountain somehwre.